Written by BRIAN MICHAEL BENDIS. 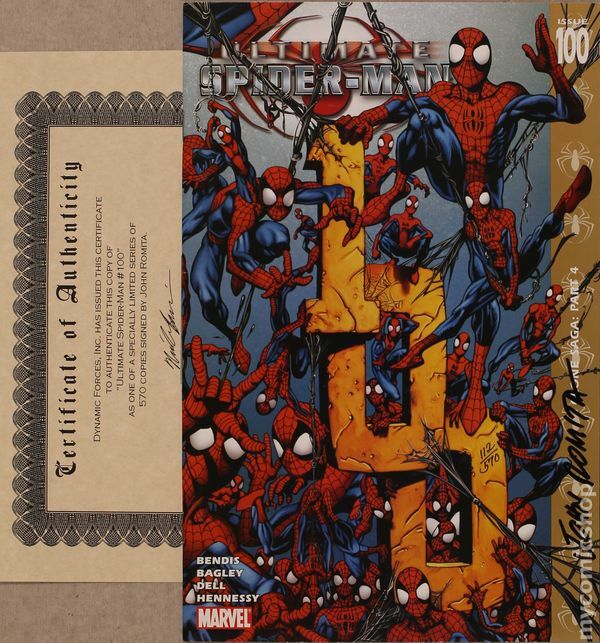 Pencils & Wraparound Cover by MARK BAGLEY. 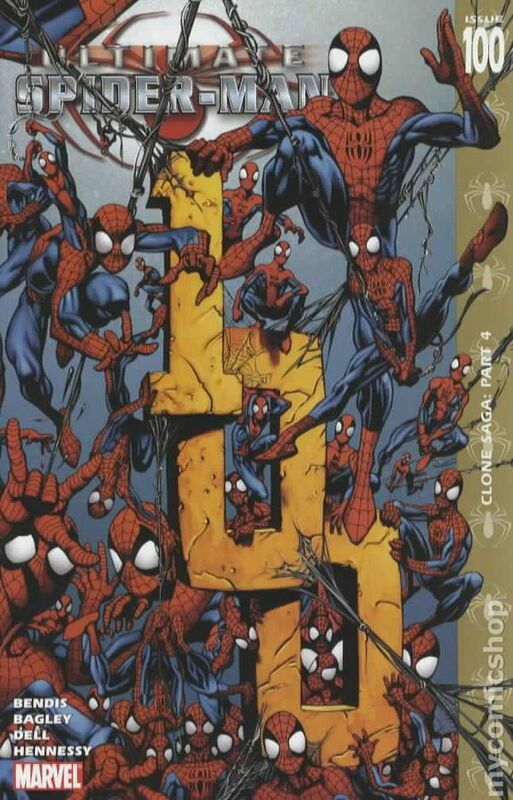 Variant Cover by MARK BAGLEY 'CLONE SAGA!' 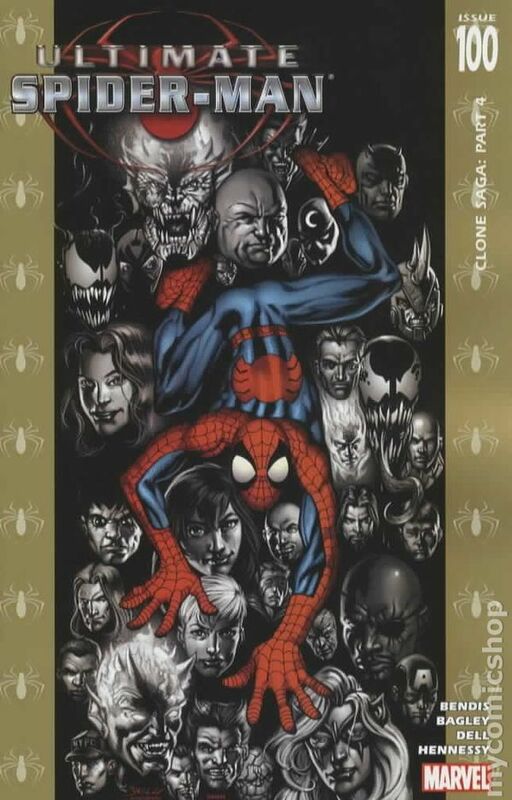 A true milestone for Peter Parker, Ultimate Spider-Man and the Ultimate line-our double-sized 100th issue celebration! Chock full of secrets that date back to the book's beginning-finally, chillingly revealed! And there are three-count 'em three-mind-staggering shock endings. It's the Spider-Man event of the year with an exclusive look back at the series with Brian Micheal Bendis and Mark Bagley. 64 PGS./Rated A Cover price $3.99. 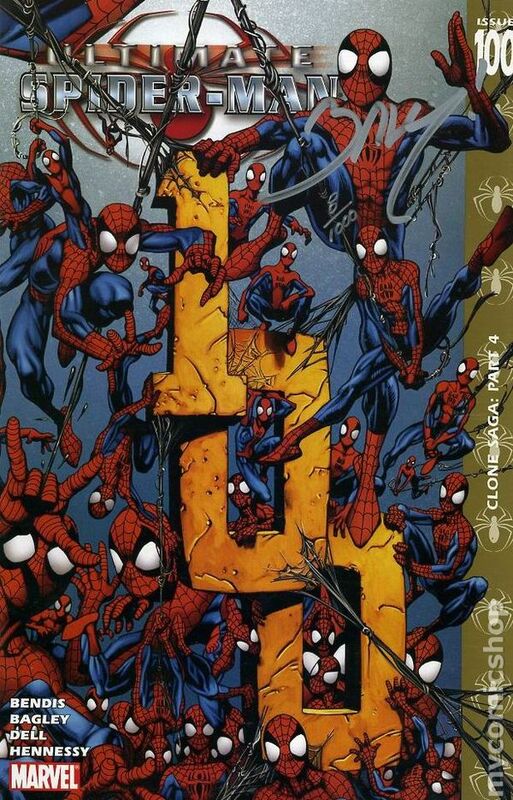 1 in 10 Variant Cover by MARK BAGLEY 'CLONE SAGA!'. Written by BRIAN MICHAEL BENDIS. 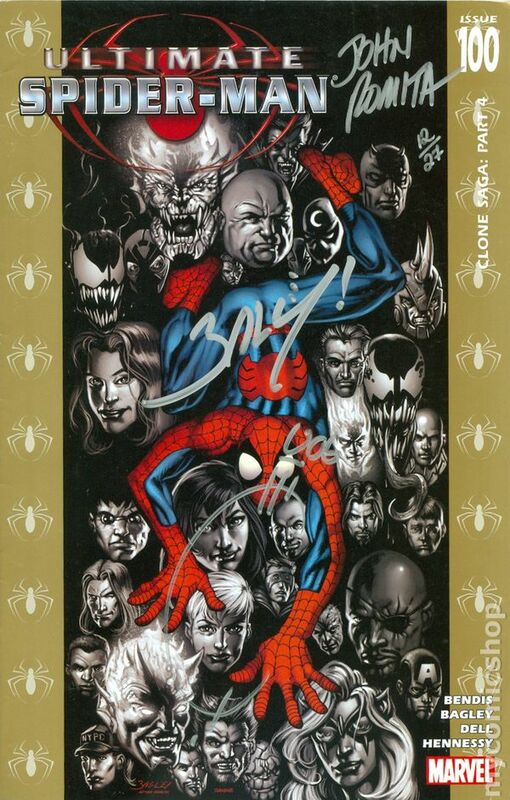 Pencils & Wraparound Cover by MARK BAGLEY. A true milestone for Peter Parker, Ultimate Spider-Man and the Ultimate line-our double-sized 100th issue celebration! Chock full of secrets that date back to the book's beginning-finally, chillingly revealed! And there are three-count 'em three-mind-staggering shock endings. It's the Spider-Man event of the year with an exclusive look back at the series with Brian Micheal Bendis and Mark Bagley. 64 PGS./Rated A Cover price $3.99.